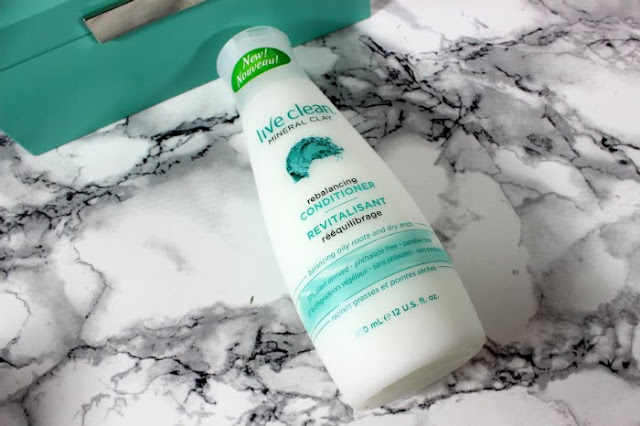 Live Clean is a great Canadian brand that makes hair care, body care, baby care and now sun care products right here in Canada. Their Mineral Clay Rebalancing Shampoo and Conditioner help keep your scalp free of build-up while simultaneously hydrating your dry ends. All without using Petrolatum, DEA, Parabens, Silicones, Phthalate, Phosphate, dyes, all while being biodegradable and vegan. It uses 3 mineral clays to detoxify the oily and buildup parts while Vitamin E and Provitamin B5 to hydrate. Apple Cider Vinegar, Witch Hazel and Tea Tree oil help keep your hair healthy and glowing. To say these products were made for me might be a bit of a stretch, but my hair and scalp have really been loving them. 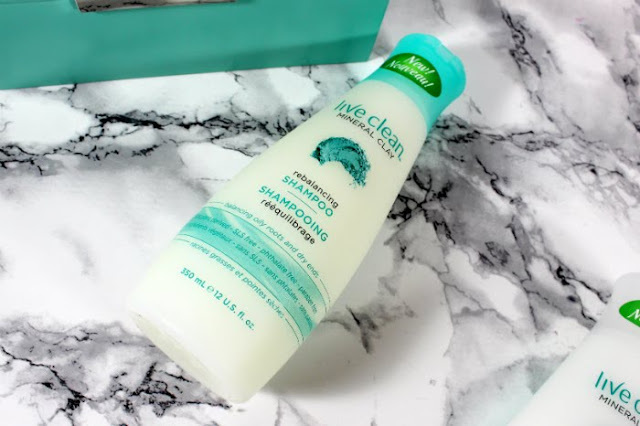 I usually wash my hair only two times a week, which means my scalp gets quite oily and can have some styling product buildup (can we say dry shampoo and heat protectants). The shampoo manages to get my scalp and roots so clean it feels amazing for days afterwards. In the past I hated conditioners that did not have silicone in them, I found my hair wasn't left smooth and was hard to comb out. 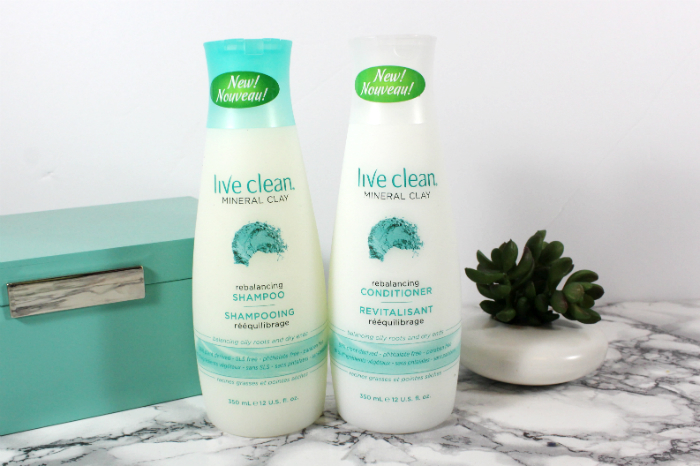 Live Clean seems to make conditioners that make me love that they don't have silicone in them. I absolutely love this conditioner. My hair is highly conditioned but not weighted down, not greasy, it is light and bouncy. My waves are more curly and I am really happy about it. Overall I am really loving this line, I will definitely be repurchasing it because my hair feels more amazing every time I use it. I also really love what ingredients that these products have in them, as well as what they don't have in them. Being a Canadian brand that is made in Canada is also a big plus, I always prefer to buy Canadian made and Live Clean always makes that an easy choice.